The Approach will connect businesses with the world in a way few office spaces can rival. 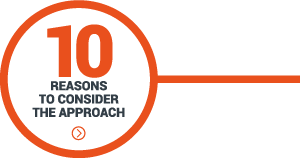 The strategic location of The Approach provides superb connections across many different modes of transport to the local area and beyond. 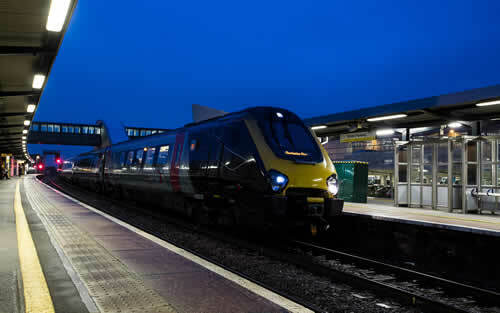 Electrification of the Great Western line has recently been completed and the quickest journey times from Bristol Parkway to London Paddington are now 79 minutes. New rolling stock has been introduced and by the end of 2019 there will be up to 5 trains per hour. Crossrail, is due to open at the end of 2019 and will be easily reached from Bristol Parkway via Reading and the proposed Heathrow Link will connect the airport to Reading in just 35 minutes. Staff commuting to The Approach will benefit from Parkway station’s fantastic links to Bristol’s suburban rail network. The station is also a major hub for the localbus network. 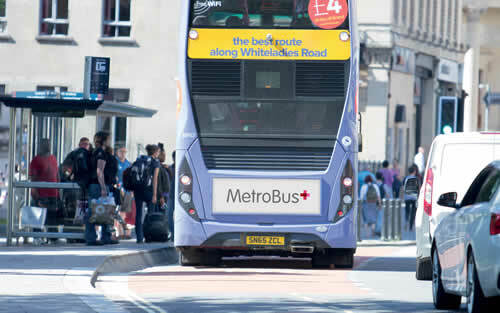 The new Bristol Metrobus is now open and offers a rapid service connecting key destinations including Cribbs Causeway, the 1 million sq ft Regional Shopping Centre, Bristol City Centre and South Bristol. The service provides one bus every 6 minutes during peak times. 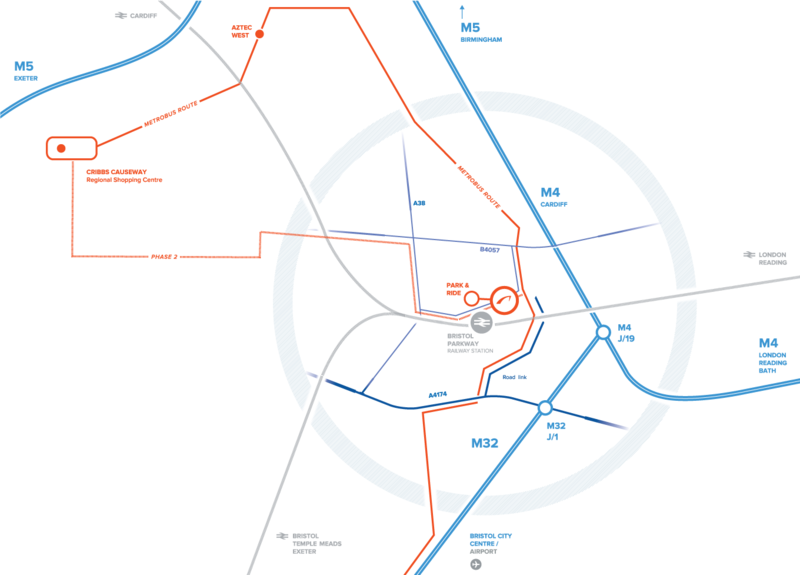 The Approach is strategically located to provide easy access to three key motorways, the M4, M5 and M32 via the recently completed Hambrook link road. Bristol Airport is a mere 45 minutes drive from The Approach. It provides easy access to 12 UK cities including Belfast, Glasgow and Edinburgh and a further 106 within Europe and the rest of the world. 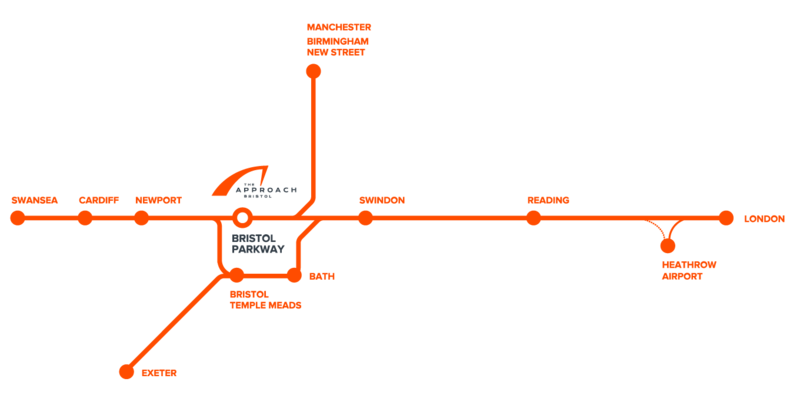 The Approach is only a 500m walk to Bristol Parkway station which provides frequent and direct services to key destinations. Following electrification, bigger, better trains have been introduced and journey times are down to 79 minutes to London Paddington. By the end of 2019 there will be 5 trains an hour to the capital. 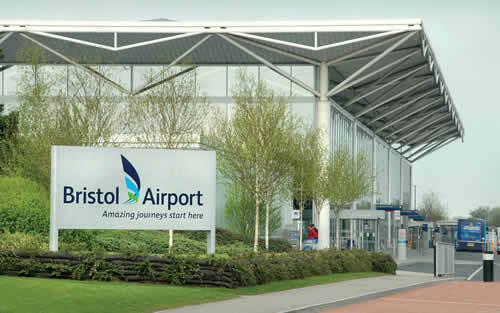 Bristol Airport connects The Approach nationally and internationally, flying to 118 destinations of which 12 are in the UK, 98 in Europe and 8 to the rest of the world. Bristol Airport is approximately 45 minutes from The Approach Bristol by car. The new MetroBus provides a frequent, high quality passenger transport service connecting the key employment hubs in the north of the city with key residential areas in the north and south of the city as well as the city centre. The new route also links into the wider MetroBus network with the South Bristol Link and Ashton Vale to Temple Meads routes. At peak times services are every 6 minutes and off-peak every 12 minutes. Parkway station is a hub for local buses offering 15 services, providing commuters with easy and frequent connections to The Approach. Within a few minutes drive are the M4, M32 and M5, connecting you to the national motorway network.